Imran Khan Niazi started playing cricket at age of 13 for Worcestershire Cricket Club. Imran Khan made his debut for Pakistan when he was 18 year old. Imran led Pakistan cricket team to their first and only ICC World Cup title in 1992, he retired after winning the tournament. Imran Khan is the most famous cricketer in Pakistan and he is also inducted to ICC Cricket Hall of Fame. Imran Khan is the most inspiring personality in Pakistan cricket and some of Imran Khan inspiring cricket quote are included in this article. Imran Khan quotes are mostly motivating and directed towards hard work. Imran emphasized on self belief in his quote and advise players to learn from pressure games. Imran Khan is always fan of pace and also advised Wasim Akram and Waqar Younis to produce more pace to take wickets. 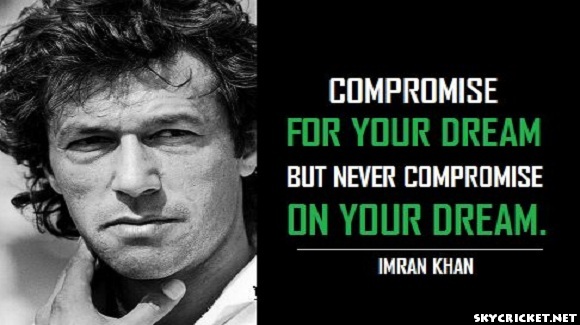 Imran Khan cricket quotes motivates young cricketers to keep practicing and keep studying opponents in order to win games. My favorite one is to compromise for your dream but never compromise on your dream. Imran Khan tells how much influence cricket has had on his life and his leadership and understanding his responsibilities as a ruler. Read Imran Khan inspiring and influencing Cricket Quotes. 1. But having set myself these goals, I had to work really hard to achieve them. 2. Win or lose today I am proud of the way my boys have played in the tournament. 3. I have always believed that one should not be scared of losing,I think that really is the key. 4. The team which handles the pressure best, carries the day. 5. Never give up, no matter how hard life gets no matter how much pain you feel. Pain will eventually subside, nothing remains forever, so keep going and don't give up. 6. I believed in myself. I never imagined myself as just an ordinary player. 7. Waqar was a very strong bowler, not as gifted as Wasim but much stronger physically. 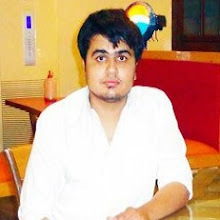 Mentally Waqar was very tough. Wasim would give up a little bit when things got down; Waqar would keep coming back. 8. If I ever got hit, I would try and bowl faster. 9. If there is one venue where Pakistan can beat Australia, then Adelaide is that ground. 10. I want my team to play like a cornered tiger...when it's said it's most dangerous. 11. I'd been determined to be a Test cricketer since I was nine and there was never any chance that I would give up. 12. Compromise for your Dream but NEVER Compromise on your Dream. 13. I have always believed that one should not be scared of losing, I think that really is the key. 14. I wanted to be an outstanding player, that was my ambition. 15. Cricket is a pressure game, and when it comes to an India-Pakistan match the pressure is doubled. 17. And when the pressure was on us, the team handled it very well. One has to learn to play well under pressure. 18. The team that is going to win is the one that does its homework the best by studying its opponents. 19. During my 21 years of playing cricket, I have never been approached by anyone or offered a bribe. 20. The future of Indo-Pak cricket will depend on how the peace process goes. 21. Just give it everything you've got and bowl as fast as possible. 22. But ultimately it comes down to how the team performs on the day. 23. Being a political leader is like being a cricket captain. You walk out to a stadium full of people, all responsibility on you, and if you can learn to take that responsibility, it equips you to do anything in life. One of the best cricketer in 1970's and 1980's.